Backing Basics: Specialty Backing » Embroidery Talk Has Moved! Everyone most likely has a embroidery project that requires a special type of backing or topping. Maybe you embroider golf towels and need something to keep the stitches from sinking into the fabric. Perhaps you’re embroidering knit polo shirts and need a soft but firm backing that will keep the fabric from stretching. Maybe you have smaller items, like blank patches, that you need to secure so they can be embroidered. There are a lot of jobs that might require a backing that is a bit outside the ordinary cutaway or tearaway varieties. In this edition of Backing Basics I want to discuss a few of the specialty backings and how they can be used. Poly Mesh Backing – This backing is ideal for knit fabrics and also works well with fabrics that are more sheer. Use this backing to minimize stabilizer show through and also for any application where softness against the skin is a concern. This is a great backing choice for use when embroidering polo and other knit shirts. Water Soluble Topping/Backing – Our water soluble option is a lightweight topping/backing solution that dissolves in water. It is a great topping option when embroidering any material, like terry cloth, where the stitches can sink into the fabric. This topping creates a smooth embroidery surface, and excess can easily be dissolved away with the application of water. Badgemaster – Another option in the water soluble category, this is a film that can be used to create applique type embroidery. You can embroider directly into the film, which is non toxic and biodegradable. Badgemaster can also be used to support embroidery on difficult fabrics such as sportswear. Adhesive Backing – Adhesive backing is used when you have hard to hoop items or to stabilize stretchy fabrics. Our Peel and Stick backing is standard adhesive backing and does not require any activation. EnMart’s Hydrostick backing requires water to activate the adhesive. Both are designed to avoid gumming up needles or embroidery machines. Flame Resistant (FR) Backing – If you do embroidery for fire departments, race car drivers or anyone who may encounter fire in the course of their work day, FR backing is a must. 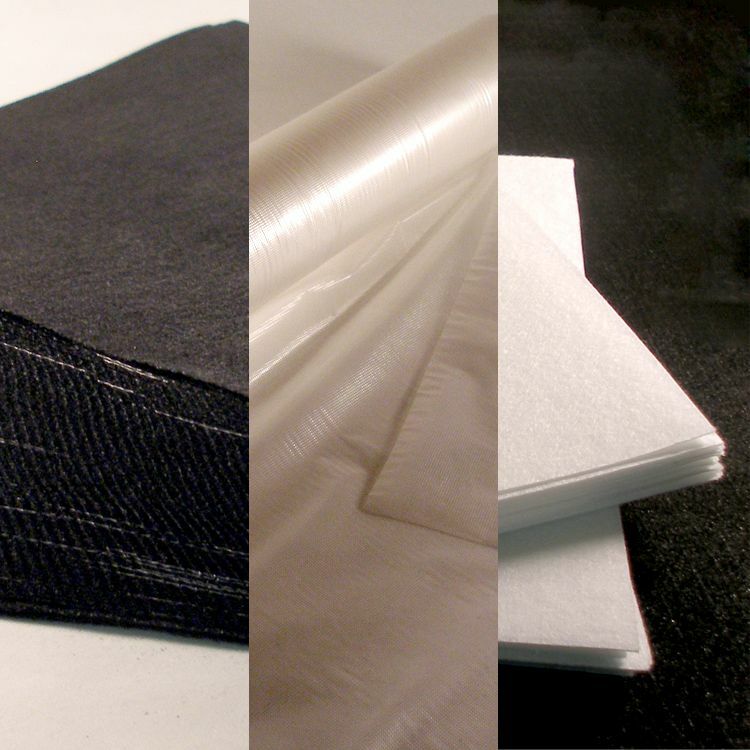 This is a white backing with flame resistant properties and is available in sheets and rolls. Puffy Foam – If you like the look for 3-D embroidery, than puffy foam is the topping for you. When placed over an already embroidered design, and then stitched over, the puffy foam creates a 3-D appearance where it is placed. Designs must be digitized for embroidery with puffy foam. Most embroiderers match the color of their thread to the puffy foam they are using. This entry was posted on Wednesday, May 5th, 2010 at 1:04 pm and is filed under Backing/Stabilizers. You can follow any responses to this entry through the RSS 2.0 feed. Both comments and pings are currently closed.